COSEC VEGA FAX, a part of VEGA series, is specifically built for demanding enterprise to meet the functional needs of an organization’s employee time tracking system along with access control applications. The device offers unique advantages in terms of connectivity, technology, usage environment and ease of use. IP65, PoE, touchscreen and wireless connectivity offer foolproof Access Control and Time-Attendance solutions for Corporate Firms, Manufacturing Units, Government organizations and more. It has various interfaces like exit reader, exit switch, auxiliary input/output port, Ethernet and Wi-Fi. 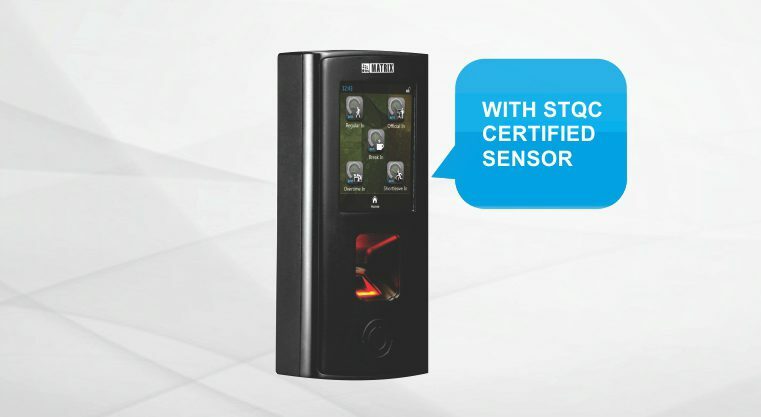 Designed for long term uninterrupted performance with prudent blend of aesthetics, size, connectivity and reliability, the device is a perfect fit for biometric time clocking system. 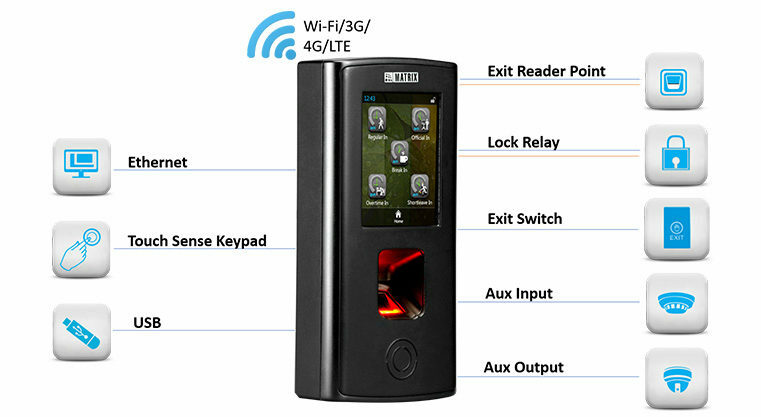 It’s built-in exit reader port to connect either fingerprint or card reader using RS-232 or Wiegand interface. COSEC VEGA FAX, an advanced door controller, has a 3.5’’ TFT display with capacitive touchscreen interface to put events, news/message and other information. It is capable of storing up to 9,600 fingerprint templates and 5,00,000 events. Its compact design with IP65 ratings is convenient for the demanding work environment of organizations. Moreover, COSEC VEGA FAX is an open system allowing integration with third party hardware. Using auxiliary input and output ports, Fire Alarm system and Video Surveillance system can be connected without any need for external hardware modules. Motion sensors and relay devices can also be connected through these ports. With wireless connectivity options for employee time tracking software application and access control terminals, the solution delivers high level of flexibility to satisfy the most demanding enterprise needs of today.